2. Using a Torx T6 screwdriver, remove the two LVDS cable connector screws. Disconnect the LVDS display cable from the logic board. To the right of the LVDS connector, disconnect the inverter cable from the logic board. 3. Peel the EMI tape away from each side of the panel. 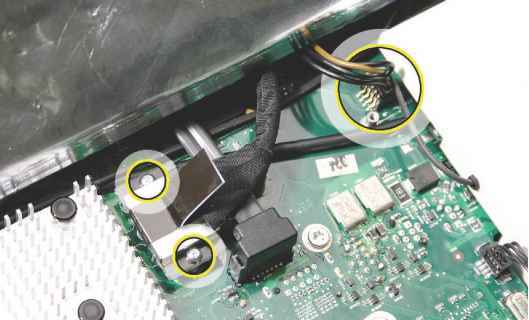 Using a Torx T10 screwdriver, remove the four panel mounting screws. 4. Pivot the panel up, as shown, then carefully peel the top edge of the panel away from the EMI shield. 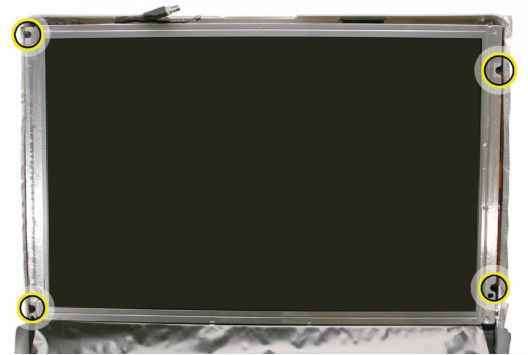 Note: If replacing a bad LCD display, you will also need to remove the lower EMI shield (if still attached), the display panel mounting brackets, and the LVDS cable as follows. If attached, peel the lower EMI shield off the bottom edge of the display panel. Using a torx T10 screwdriver, remove two screws from the left side panel mounting bracket. 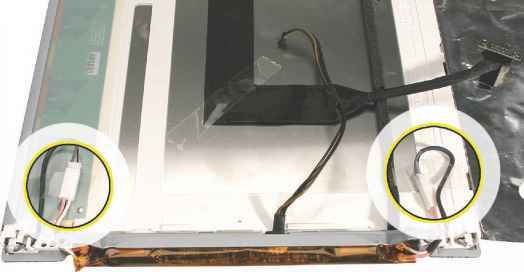 Using a torx T10 screwdriver, push the tape aside and remove the two mounting screws from the right side panel bracket as shown below. 8. Peel back the tape where shown below, and disconnect the two inverter-to-display cable connectors. 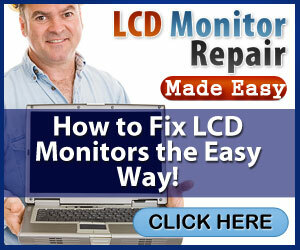 Remove the LVDS cable from the rear of the display. Return the panel to Apple. Note: The panel is a like-for-like exchange. How to remove display on imac?